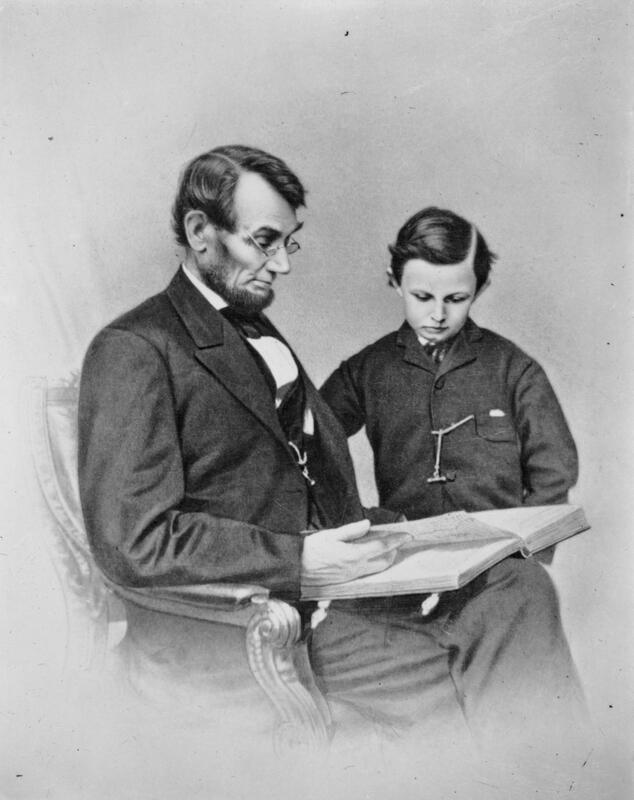 Thanks to the tireless efforts of members of five generations of one American family, we are privy to this quiet moment between Abraham Lincoln and his beloved son, Tad. Photo: Meserve- Kunhardt Foundation. Courtesy HBO. My dad was a hard-core Lincoln buff. And, frankly, he didn’t have to work very hard to get me on board the Abraham Lincoln bandwagon. When Ken Burns’ groundbreaking miniseries, The Civil War, debuted on PBS, my dad and I shared that experience and every repeat broadcast thereafter. That I came to know Ken, during my professional career as a journalist and director of the Christopher Awards, was icing on the cake. Yes, Living with Lincoln is a compelling look at Abraham Lincoln’s personal evolution as a man, father, husband and U.S. president. But it’s a story that could not have been fully told without the incredibly moving and complex thread that links Lincoln with five generations of one American family, the family of filmmaker Peter Kunhardt. 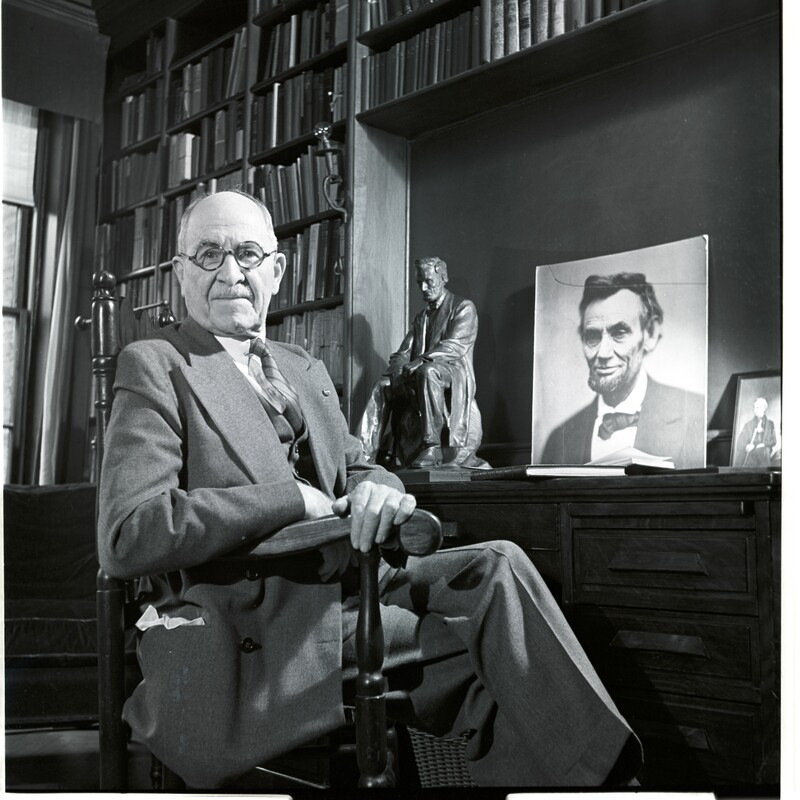 Frederick Hill Meserve surrounded by his Lincoln collection. Photo: Kunhardt Family. Courtesy HBO. The story opens with the Civil War diary kept by battle-scarred Major William Neal Meserve. Determined to heal his father’s psyche and patch their painful father-son estrangement, William’s son, Frederick Hill Meserve, began collecting photographs and mementos relating to Abraham Lincoln and the Civil War to illustrate a book based on his dad’s diary. 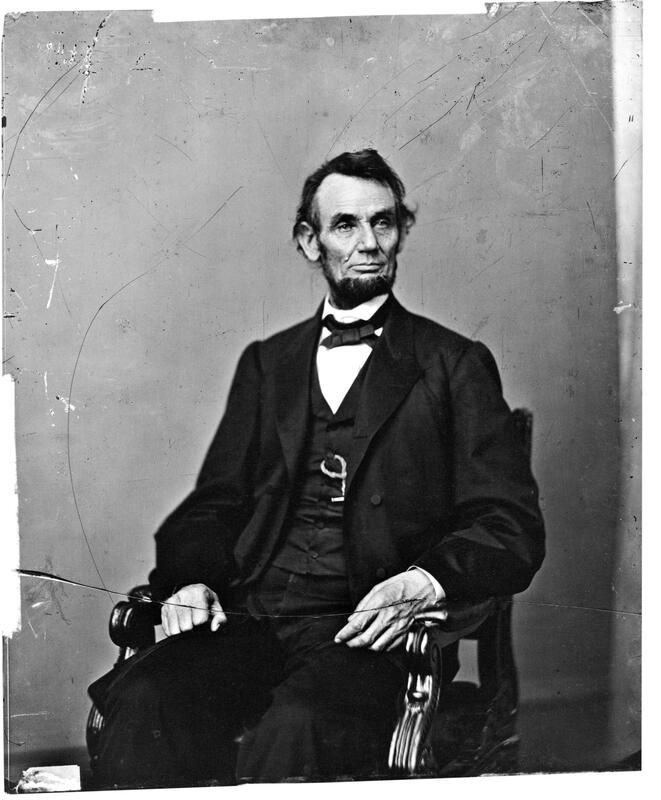 Abraham Lincoln was the first president to be photographed in office; but as Lincoln and the war faded from memory, the photos, glass negatives and presidential memorabilia were soon filed and forgotten in dusty attics, damp basements or obscure warehouse graveyards. 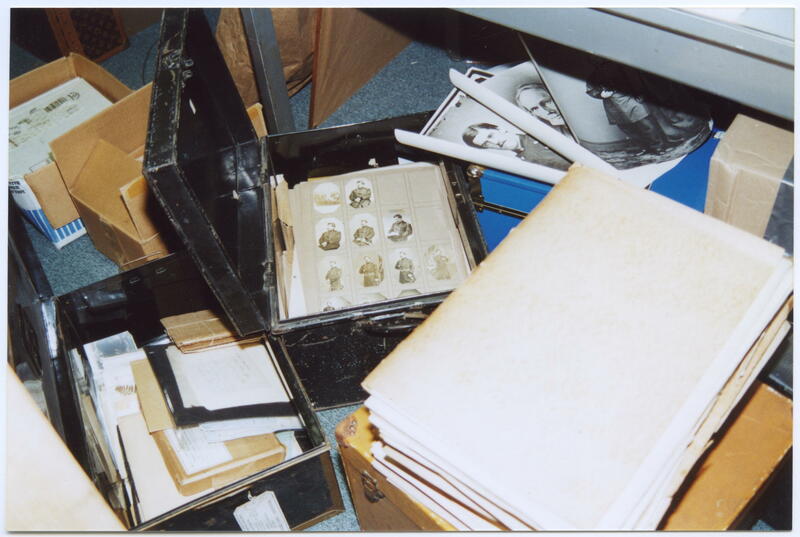 Frederick Hill Meserve’s quest to unearth and publish those photos (he privately published his first edition of The Photographs of Abraham Lincoln in 1911), became a lifelong passion that also involved the acquisition of rare books and all sorts of period ephemera relating to Lincoln. The project grew to encompass one of the largest private collections of 19th-century American photography, devoted primarily to Lincoln and the Civil War. The portrait of Abraham Lincoln that appears on the U.S. $5 bill. Photo: Meserve-Kunhardt Foundation. Courtesy HBO. In short, the face we recognize on the U.S. penny, the five dollar bill and on the sculptures at Mount Rushmore and the Lincoln Memorial were made possible by Frederick Hill Meserve’s zeal to find, catalog and preserve images of Lincoln in period photographs. But if you think the film, Living with Lincoln, is simply a documentary about collecting, preserving and storing documents, you’d be wrong. Not only was Meserve’s journey filled with fascinating twists and turns, but it tapped into familial compulsions and obsessions that pulled his daughter, her children and their children, for better or worse, into the mix and led to the making of this remarkable family film chronicle, directed, produced and narrated by Meserve’s great-grandson, Peter Kunhardt. Seventy minutes fly by as Kunhardt explores the challenges faced by family members who were instrumental in the evolution of the Lincoln collection from its inception to the present-day. Lincoln’s historic narrative meshes with that of the filmmaker’s family–the former is richly evoked with vintage photos from the collection, the latter is beautifully illustrated with family photos, home movies and their ancestors’ own words (read in voice over by living relatives, which is a nice touch). 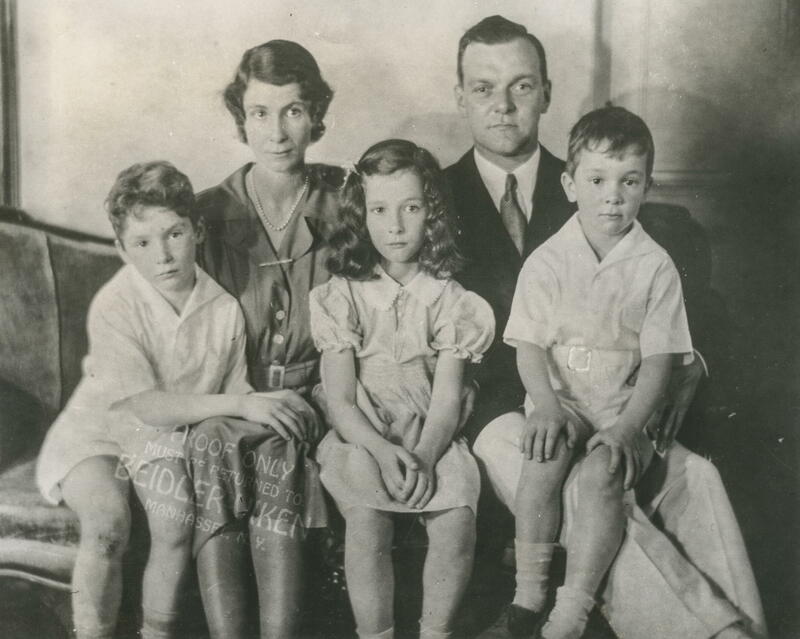 Children’s book author/illustrator and Lincoln archivist Dorothy Meserve Kunhardt with her husband, Philip Kunhardt, and three of their children. Photo: Kunhardt Family. Courtesy HBO. A sizable portion of the film focuses on the filmmaker’s grandmother, Frederick Meserve’s daughter Dorothy Meserve Kunhardt. Dorothy carried the burden of her father’s obsession throughout her storied but often difficult life. She was forever torn between her all-consuming dedication to her father’s Lincoln project and her much-needed income-producing career as a successful children’s book author and illustrator. 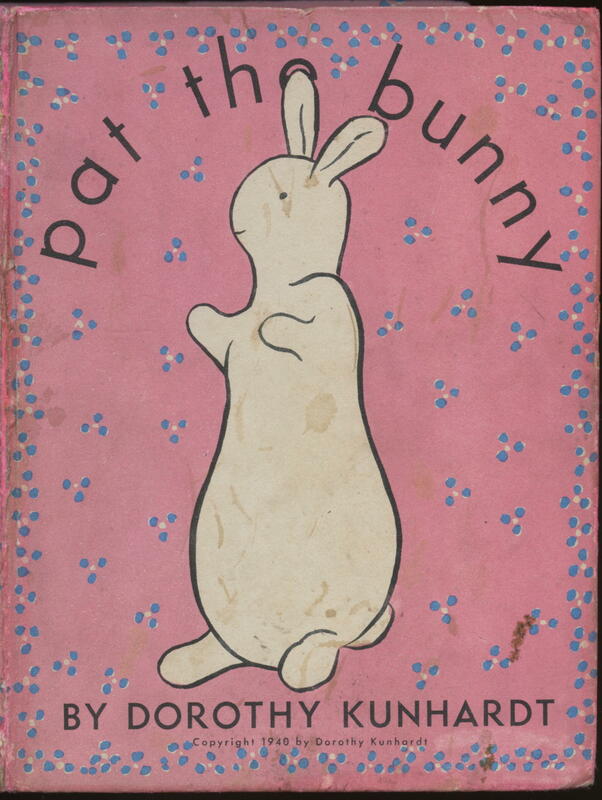 The creation of her first best-selling book, Junket Is Nice, and her classic Pat the Bunny, the latter published by Random House in 1940, is a fascinating sidelight in this film. Dorothy Meserve Kunhardt wrote and illustrated the first ever touch and feel book for young children. Photo: Meserve-Kunhardt Foundation. Courtesy HBO. Dorothy’s fertile creative mind was beset with depression, seemingly a family attribute, that was fueled by her struggle to fulfill all of the responsibilities she tackled as a devoted daughter, dedicated archivist, loving wife, mother, best-selling author and illustrator. She subsequently fell ill with lung disease, triggered by the hours she spent living and even sleeping amidst the dusty and moldy stacks of old books and ephemera she and her dad had collected. Many of Dorothy’s projects fell by the wayside; but, aided by her son, Life magazine editor Philip B. Kunhardt, Jr., Dorothy Kunhardt’s own Lincoln book, Twenty Days, finally saw the light of day in 1965, inspired by the assassination of another American president, John F. Kennedy. Amazingly, I found a first edition of that book in my own dad’s Lincoln collection, and am thrilled to now know its provenance. Awe-inspiring and poignant, Living with Lincoln moved me to tears. At its core, it’s a story about two American families and their resilience in the face of great challenges. It’s about their ability to silence naysayers and achieve monumental goals despite crippling emotional scars brought about by war, parental abandonment, financial ruin, debilitating illness, drug abuse, suicide and the death of one’s children. It’s about acknowledging the baggage and cherishing the personal best we carry from generation to generation in our own families and, most importantly, about the “better angels” among us who aspire to be good citizens, parents, children and, most of all, who remind us to remember, respect and treasure those who have made us proud to be Americans. Photo: Kunhardt Family. Courtesy HBO. This entry was posted in Books, Cable, Film, Photography, Publishing and tagged Abraham Lincoln, Brian Oakes, Children's Books, Dorothy Meserve Kunhardt, Family Relationships, Frederick Hill Meserve, HBO, Ken Burns, Living with Lincoln, Meserve-Kunhardt Foundation, Pat the Bunny, Peter Kunhardt, Photography, The Civil War, U.S. Presidents. Bookmark the permalink.